57 customers have given this product a 5-star rating. 61 customers have given this product a 4-star rating. 46 customers have given this product a 3-star rating. Quality of the shell isn't great. seems to be like it might be made with a supply of sreject shell that have failed the quality control of some other products. the bearing egdes had a few dings, drill holes had tear out, just basically look like they have been mishandled during production. The wrap is very basic but my plan was always to recover them with the same stuff i'd used on the rest of my kit. and replace the heads. Which in this case i wouldnt probably be able to stand using these with the heads they came with, they sound very cheap, because they are. for the price i didn't even know how they could make them with heads but now that it've seen them i know why. they are worse than the stock pearl heads on my low end kit. I suppose for someone starting out they might be okay. especially for the price. replacing the heads with aquariance perfomance 2 and classic clear cost as much as the drum itself, but the sound difference is significant and these now blend in fine with the rest of my pearl fx kit. i also thought the tom mount would be noticably bad. while it's not perfect it doesnt look as cheap as i thought . In some of the pictures it looked like it might have been plastic. but it is metal. 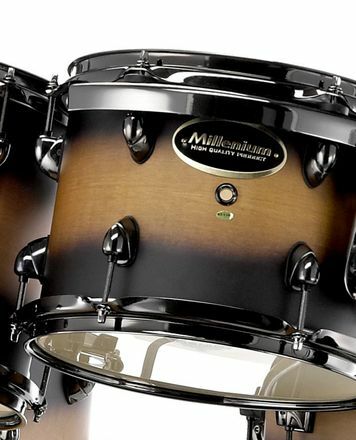 The thumb screw head on the tom mount catches the stop lock on the thomann/milennium tom arm i got to go with it. which isn't great design. it means its hard to tighten it properly with the stop lock doing its job and so youhave to tighten the thumb screw enough first, then push the tom arm into the mount and then finish tightening the tension bolt with a drum key. I bought this 8" tom a while ago, because i wanted to add a 8" tom to my drum set for a while now, but an 8" isn't something that popular, so they are hard to find, and therefore expensive (if you're looking at the big brands). Since price was important to me, this 8" tom was my pick because you can clearly see the price is really low, so it's worth to try an 8" tom for such a low price without testing it before. The build quality is pretty good actually (considering what i paid for it), but the sound itself isn't that great (it's ok...). If you plan to use the original heads, let me tell you, they sound terrible, pretty useless in my opinion. But, if you buy good heads, the tom with some good tuning can have a pretty decent sound. Not the sound of an 8" high end tom, but a good enough sound. 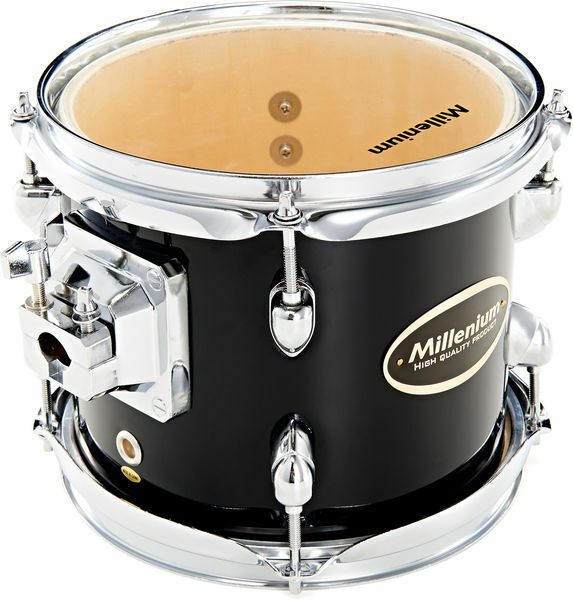 Perfect 8" tom for a kid/beginner, not suitable for advanced drummers/pros. ID: 187521 © 1996–2019 Thomann GmbH Thomann loves you, because you rock!